Modern white photo mounts with a slight linen textured finished and silver blocking around the aperture. 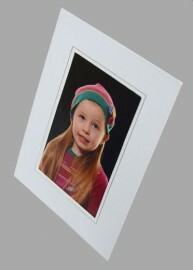 These white 6x8 slip in cardboard frames can be stood horizontally or vertically. Making ideal frames for schools, weddings, studios and functions.